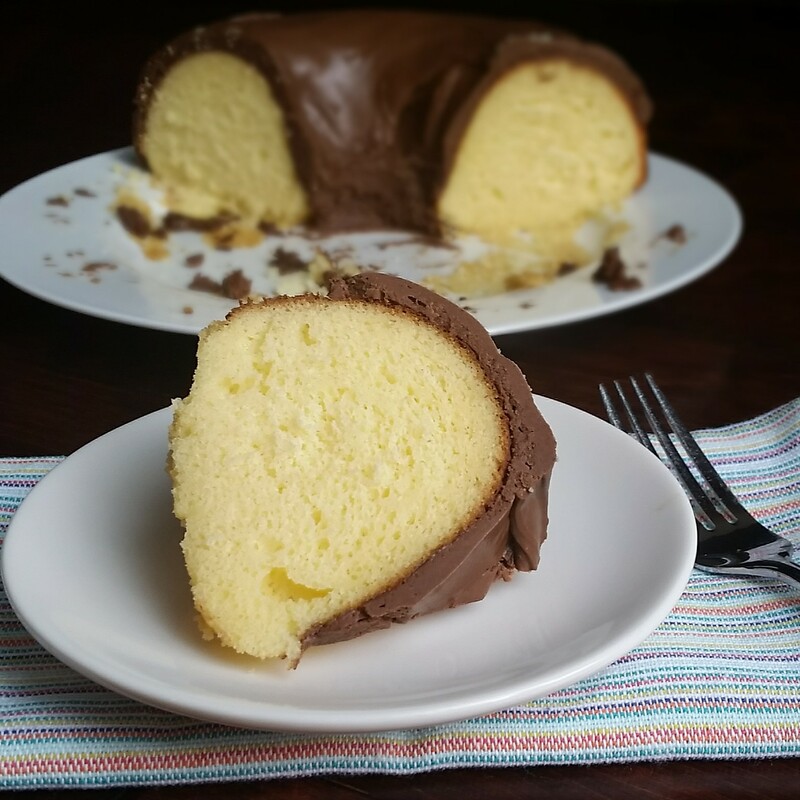 When I asked my good friend Leina’s husband what her favorite birthday dessert was, he said “yellow cake with chocolate frosting.” This sounded easy enough. I can’t tell you when the idea came to me, but at some point, I thought, “I’m going to make the most buttery yellow cake there is, and then instead of frosting, I’m going to make a pot of fantasy fudge, and dump that all over the top of it while it’s still warm. It’s probably because I’m on a diet. This cake turned out beautiful and delicious. The process of making fudge wasn’t any more complicated than making frosting. Fantasy fudge firms up really quickly, so I knew I would have to work fast and have my cake all ready to be frosted as I pulled the fudge off the heat. This cake uses a box of butter yellow cake mix, but instead of adding the usual egg, oil, and water, I added butter, heavy cream, and THREE eggs, making it incredibly rich. Pouring the warm fudge over the top traps in moisture, making it incredibly moist and delicious. The fudge part, to it’s credit, is thick, buttery, chocolate-y perfection. You can’t go wrong with this cake. It takes only 15 minutes of effort to make, and it’s beautiful too. 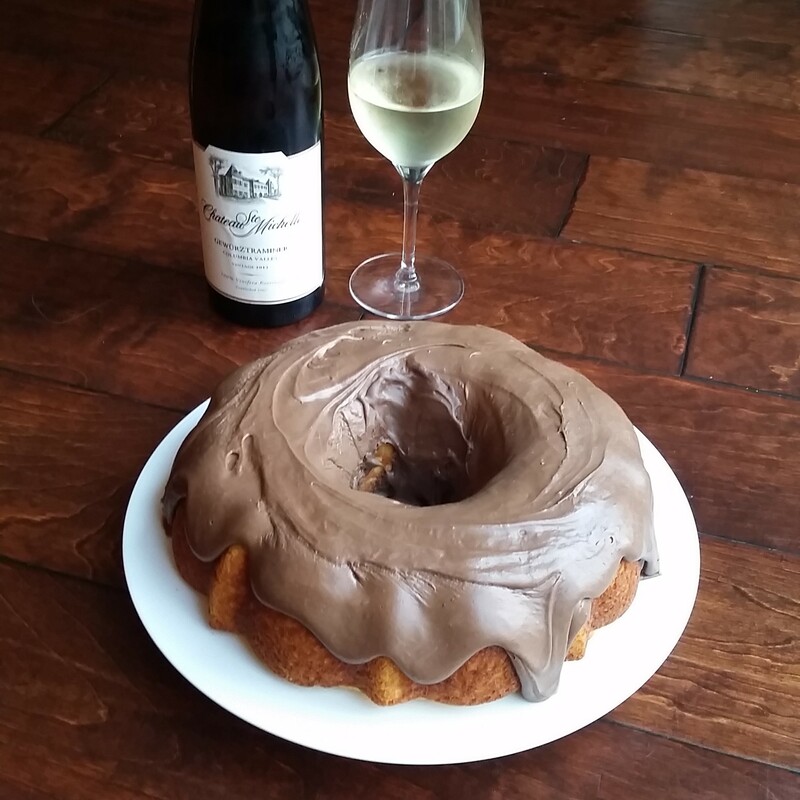 I made mine in a bundt pan, you could also use two regular round cake pans, or a 9×13 inch baking dish. If you use a bundt pan, you will have some fudge leftover, so prepare a pan to put the rest in, because wasted fudge would be a terrible thing. Preheat your oven to 350°. 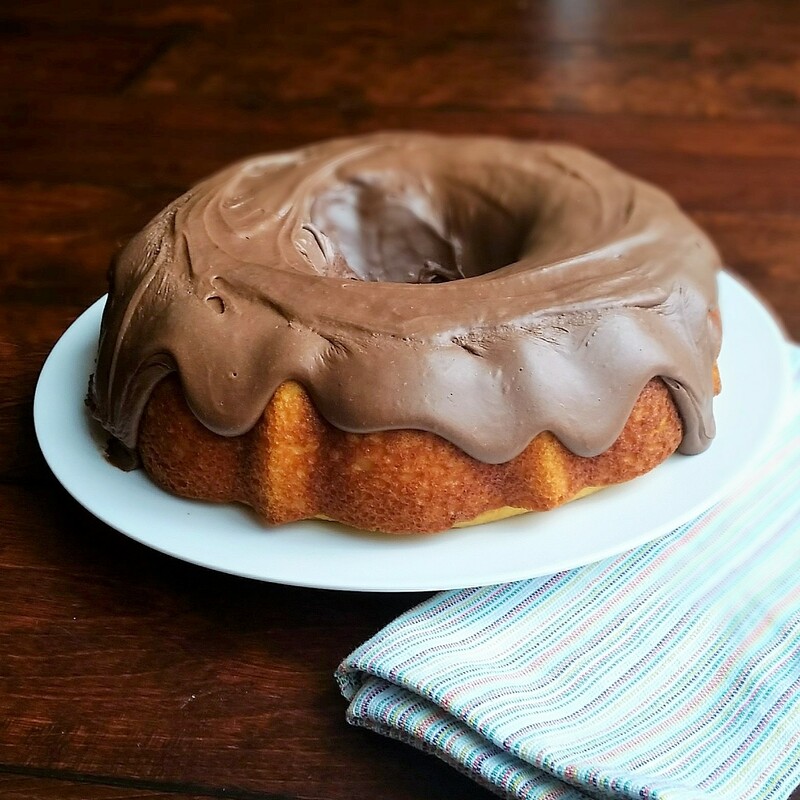 Mix all cake ingredients together, and pour into a well greased pan of your choice (bundt, cake pan, or 9×13) Bake for 20-30 minutes until a toothpick inserted into the center comes out clean. Don’t overbake, you want it as moist as possible. Remove from the oven and cool. 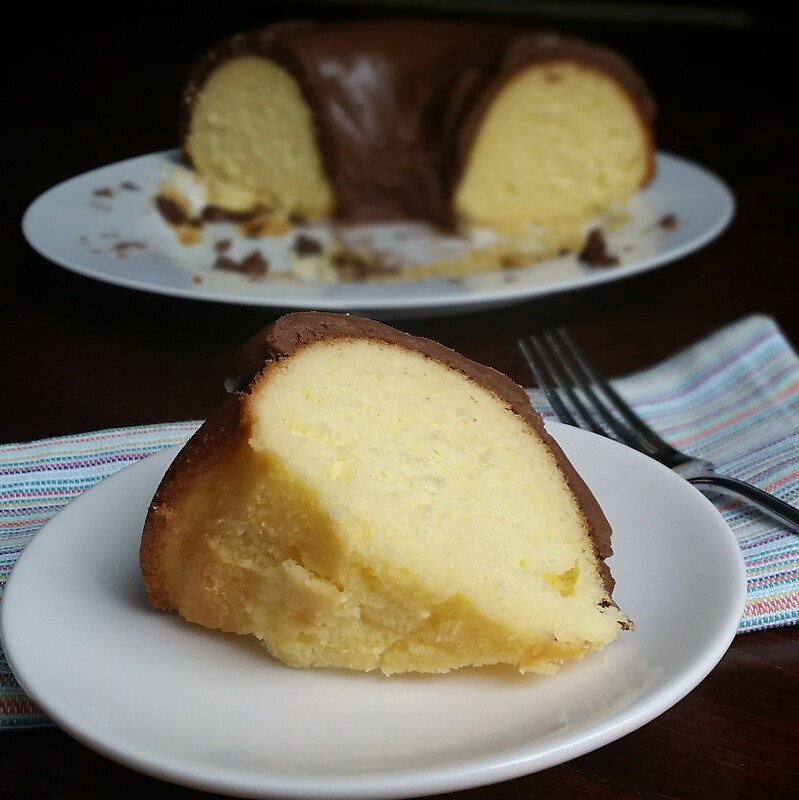 in a bundt, cool for about 15 minutes, and then flip it out of the pan and onto a plate. Now make your fudge. 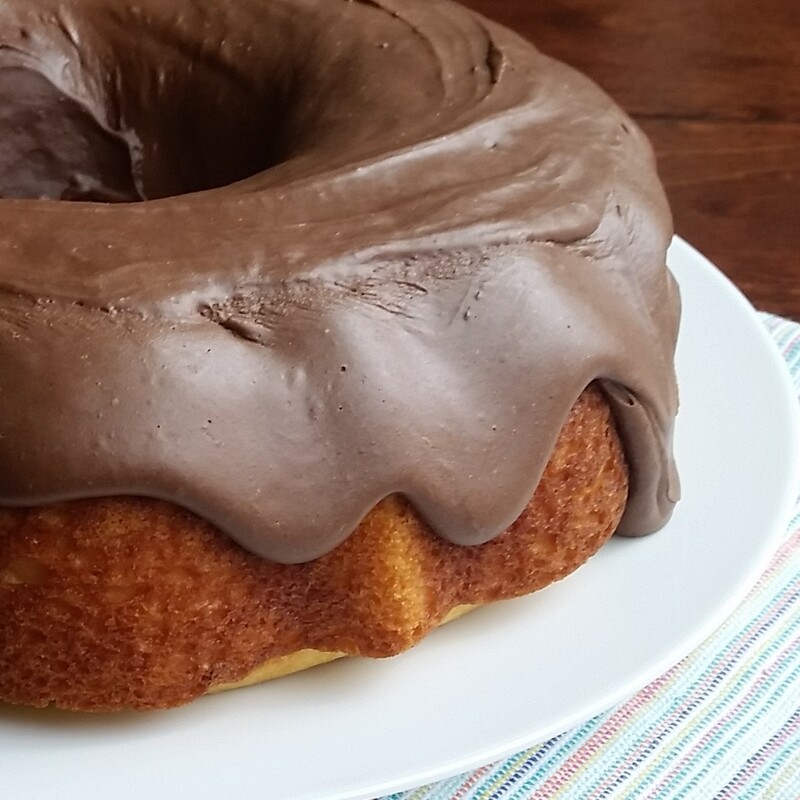 If you are using a bundt pan, prepare another small pan (8×8) with cooking spray to put the leftover fudge in. If you’re using a 9×13 pan, you will use all the fudge. In a large saucepan, bring your sugar, butter, and evaporated milk to a full, rolling boil, over medium heat, stirring constantly. Once boiling, set a timer for 4 minutes. Continue stirring. After 4 minutes, remove to mixture from the heat. Add the chocolate chips, marshmallow creme, and vanilla, and stir until everything is melted and smooth. Spoon over your cooled cake, and pour the rest into your pan. Fudge will firm up very quickly, so you need to work fast. Once the fudge has firmed up, you can cover with saran wrap (without messing up your frosting- yay!) and store in the refrigerator until ready to serve. Enjoy! Previous Post Easter Bunny Pancakes. Simple Pleasures.